My name is Omid and I am 54 years old. I was diagnosed with an incurable disease in 2014. I have set up this page because I need help to have a dignified death. This requires a change in the law. The law on assisted dying in the UK is cruel and unjust. It stops me, and many like me, from having a safe and painless death at home in England. I believe that this has to change. I am determined before I leave this earth to do some good and try and change this cruel law that stops people like me dying peacefully at home. I am following in the footsteps of Debbie Purdy and Tony Nicklinson, and that gives me courage. With the help of my determined legal team, I am seeking a change in the law for people in my situation who have been diagnosed with an incurable illness so that we can safely end our lives. For this, I really need your help – please contribute anything you can so that this unjust law can be challenged. Remember that suicide is legal – it’s just that I cannot end my life as I have lost control in my arms and hands. I could have several miserable years ahead of me. I have lost the will to carry on with a wretched existence without joy and pleasure. I cannot do anything for myself. What sort of life is this and who would want it? I was born in Iran and came to the UK aged 12 in August 1975. I am a British Citizen. I started working at the age of 17 and have worked all my life as a property developer until about 2008, when the first signs of my illness appeared. I have also experienced the joy of being married and having children. I married my wife on 10th August 1990, aged 27 and we have 3 children. We separated on 30th March 2015. I don’t want people to see me suffering and don’t want my children to remember me as I am now. This is my choice, rather than theirs. The first signs of my illness were that my speech became very slurred and when I spoke on my mobile the listener could not understand me. I also began to experience difficulty in walking, writing and with other tasks. In 2014, I was diagnosed with the incurable illness, Multiple System Atrophy (MSA), by consultants at the National Hospital for Neurology and Neurosurgery in London. Now I am largely confined to my bed, have to wear a catheter bag and need help with all my personal care. My speech has deteriorated and the muscle weakness continues apace. I tried to end my life by taking an overdose in 2015, but I failed! I don’t have the ability to take my own life anymore and I don’t want to botch it up again anyway. The last word on the law was spoken by the Supreme Court in June 2014. After Tony Nicklinson died, his wife Jane (and another claimant, Paul Lamb) took a case to the Supreme Court challenging the ban on assisted dying in England. Judgement was given on 14th June 2014. The majority of the Court decided that, that while they did have the legal power to consider the ban, Parliament should have the opportunity to consider the issue first. Lord Falconer’s Assisted Dying Bill - House of Lords, defeated in 2014. Assisted dying Bill (No 2) - House of Commons defeated in September 2016 338-118 votes. A further Assisted Dying Bill is to be debated in the House of Lords- no date for the second reading. Why not wait for the new Bill? All 3 of the recent Bills deal with a small category of people: those with a terminal illness and 6 months or less to live. I am not terminally ill- although my life is shortened by the illness. A change like this would not help me. (Lord Neuberger, paragraph 122 in R (on the application of Nicklinson and another) v Ministry of Justice  UKSC 38). In the meantime, people in my situation continue to suffer. You may have heard about the case of Mr Noel Conway. My case differs from that of Mr Conway, who is ONLY asking for a change in the law for people with a terminal illness with 6 months or fewer to live so that they may have assistance to end their lives. I don't have a terminal illness. MSA is an incurable illness which means that, although my life expectancy is shortened, I could still live for many years to come. There are many other conditions like this, such as Multiple Sclerosis, Locked in Syndrome, Motor Neurone Disease and so on. In my view, there is no moral or legal justification for drawing the line at terminal illness or 6 months or fewer to live. This would not have helped Debbie Purdy, Tony Nicklinson or me or many others who are begging for help to end our lives at a time of our choosing without pain in a dignified way. I wholeheartedly agree that vulnerable people should be protected. Safeguards can be devised by the law. They have done it in other countries. But am I not a vulnerable person whose rights should be respected? My right not to live a life of pain and wretchedness? What will raising funds help me to achieve? Challenging the law is complicated and will take up hundreds of hours of work, will involve court fees, the cost of getting experts on board and travel costs. It's a lot of work - if we are going to succeed this time, we need your help. I have the most experienced and best legal team I could possibly have. They worked for Debbie, Tony and Paul Lamb too. 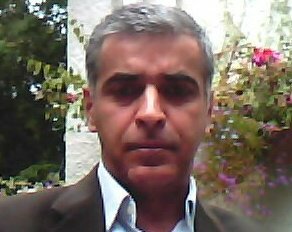 My team consists of Saimo Chahal QC (hon) who is a solicitor at Bindmans LLP and is a top human rights lawyer. My barrister is Paul Bowen QC of Brick Court Chambers. Together, they represented Debbie Purdy and Tony Nicklinson as well. Jennifer Macleod, also of Brick Court Chambers, is the junior barrister in this case. The case will have to be run along the lines of the Carter v (Attorney General) Canada case which was successful but only because the court could hear evidence over 4 weeks with all views represented and tested. That is the only way we will win. It’s very big case. Don’t underestimate how much time and work this is going to be. Getting an order so that no one can contact or reveal my wife or children’s identity as I don’t want them to be hurt or involved. I will keep you updated on the further stages after we get the case off the ground. I really need your support. I cannot do it without you. Think about what you would want – should you ever be in my situation. Please help! Omid T, started legal action by way of a Judicial Review claim on 14th March 2017 challenging the blanket ban on assisted suicide in England. Omid was 55 years of age and he suffered from Multiple Systems Atrophy, was bed bound, had poor mobility, could not feed himself, his speech was virtually incomprehensible, and he lived in a nursing home requiring 24 hour care and support. His condition was degenerative and incurable. Omid T's health began to deteriorate from 2007. He deeply regretted the loss of autonomy and dignity and wished to have a dignified death. He felt strongly that this should be available to a person in his situation, with an incurable condition living in a state of constant pain, ongoing physical decline and mental trauma knowing that there was only a downward trajectory for his condition. He hoped courageously that his legal case would bring relief to many thousands of people who cannot by virtue of their physical condition end their own life-as they are legally entitled to do under the Suicide Act 1961. A right in theory, but not in practise for people with many incurable conditions in the latter stages of their illness. By 4th October 2018 Omid T's suffering had become unbearable and he decided to have an assisted death at Life Circle in Switzerland. He died peacefully and was accompanied by his mother who wanted to share the last moments with Omid. They were deeply upset and unhappy at having to go to a foreign place so that Omid could have a peaceful ending. Omid had tried to kill himself in March 2015 at his home and had been unsuccessful. He could not countenance a second botched attempt. I am told that Omid died peacefully and contentedly knowing that his suffering was about to end and that he would be released from the living hell which he had been in for several years. "Omid T was a very courageous man who lived with a condition which shut down his system, to the point where he could not do anything for himself and could barely eat or articulate his wishes. I saw him shortly before he went to Switzerland and he told me that he could not bear living any longer and wanted nothing to get in the way of him having a peaceful and dignified death. He was deeply unhappy that the legal case that he started 19 months ago had still not given him any resolution and that it was caught up in a quagmire of procedural difficulties. He had hoped to see all of the 11 experts as well as many other witnesses, who had lined up to support his case, give evidence and then for the court to decide on his case. However, sadly that has not happened. He said that his only hope was that somebody else would take up the challenge, and take up what he had started with such high hopes and conviction. It was sad for me as his lawyer to witness Omid's utter frustration over the delays in his case and the procedural obstacles which denied him a full hearing at which the evidence could be examined as to whether a law change was appropriate and proportionate. I regret that Omid did not receive the legal resolution he wished for and deserved." On 14th March 2017, Omid T issued proceedings in the High Court for Judicial Review of the Secretary of State for Justice. He sought a declaration under Section 4 (2) of the Human Rights Act that Section 2 (1) of the Suicide Act 1961 which makes assisting in a suicide a criminal offence is incompatible with his rights under Article 8 of the European Convention on Human Rights, i.e. the right to autonomy and dignity and self-determination with regard to dying. By 25th July 2017 on behalf of Omid T evidence had been filed from 11 experts all over the world on how systems operate in other jurisdictions, why a law change in the UK would not affect the rights of the weak and vulnerable and how a law change could be implemented. 7th December 2017 - a Divisional Court ordered a preliminary issue to be tried. This was: is it appropriate and necessary in this case for the Court to hear first-hand evidence as cross examination to seek to determine the mixed ethical and moral and social policy issues that underlie with the Parliament's prohibition on assisted suicide in Section 2 (1) Suicide Act 1961 as a justified interference with the Claimant's rights in this case? A judgment on this issue is still awaited and will come too late for Omid. I wanted to update you on the next steps in my legal case. Whether to hear first-hand oral evidence from Witnesses and Experts, and whether to allow the opportunity for cross-examination. The purpose of hearing such evidence will be to determine the ethical, moral and social policy issues that underlie Parliament's prohibition on assisted suicide in s 2(1) Suicide Act 1961, to establish whether this prohibition is a justified interference with Omid’s human rights. As you know, we have several experts who will give evidence that the law change will not adversely affect the weak and vulnerable and that the rights of those suffering should be considered along side this question. The government has only put forward one expert witness. The hearing will be based upon the cross examination of that witness and a decision will be made whether the outcome of the case will be decided by the court or whether it needs to go to Parliament. If you want to read about the legal arguments, click here. It is a public hearing and so, anyone can attend. Please email: a.abdoun@bindmans.com if you want to know the court room details (they are only given out after 2pm on the day before the hearing). Friends and supporters I need to tell you something else; My health is very poor now and I just hope all this can be over soon so I can end my life. I want to get a date set soon to have a peaceful ending in Switzerland. I never thought it would be this difficult… It is torture for me and I don't understand what is the use of all this suffering. The funny thing is that those who are against me say they are doing this in name of human rights. Whose human rights? Not mine it seems. Please help us to change the law and keep those donations coming in to keep the legal fight going. Its costly and we need your help now. You can still help me by coming forward and joining the fight as a claimant, taking the case forward after I have gone. Please help I cannot do this without you. As always, thank you so much for your support throughout, I am very grateful. My lawyers attended a case conference at the Court 2 weeks ago and asked for directions to take the case to trial. Following this the Court delivered a judgement saying that the case should be listed before the Divisional Court to decide as a preliminary point whether the Court has jurisdiction to hear the case and whether my lawyers should be allowed to cross-examine the Government’s expert witness, Baroness Finlay. The case has been listed for a 2 day hearing on 7th and 8th March to decide these points of law. On hearing this news, I said I thought the first issue about jurisdiction had already been decided in Nicklinson - but it seems that the Court says not! I hope the Court rules in my favour in March. I am very tired and looking for some positive news. I need your support more than ever to keep this case going. Please donate now - there is much more work to be done and I need to reach my target. Please join me in this litigation if you are in a similar situation. Thank you as ever for your generous support. Tomorrow the case is listed for a 2 hour hearing to distinguish our case from that of Conway, to decide our application for the case to go forward, for us to cross examine the Defendant’s witnesses and to set a hearing date for a full trial of the issues. Below are the details of the court and the Judges. All are welcome as it is a public hearing. Omid needs your support more than ever. Please support Omid by making a donation to Crowdjustice and by sending him words of support! Omid wants to send a massive thanks to friends and well wishers taking the time to visit him and to send him cards and letters and words of comfort. He says: "Thank you - this is keeping me strong and keeps me going but there will come a time when I can no longer tolerate my life and I fear that time is not far off. I want to finish what I have started but it is very hard as I feel that I have no quality of life, my life is grim and miserable and I cannot bear to go on much longer. There is no palliative care that can help me. My life is beyond that – so opponents who harp on about palliative care as the answer so not know what they are talking about! I am linking here to an article written by my solicitor Saimo Chahal QC (Hon) at Bindmans which appeared in the Law Society’s Gazette which analyses and updates you on the Conway case and my case. Please read it and you will understand what we can learn from Conway and of the judge’s thinking. It is enlightening. Please let us know if you have any questions. The government have now finally served their evidence and my lawyers are attending to replies. The next hearing is on 21st November at the High court–the Strand. London the time of the hearing to be decided the day before as well as court room. I need your help and cannot do it without you. We need to reach our target of £50,000 and have a long way to go. My lawyers are working very hard and need to do lots of work to respond to the evidence now, prepare a timetable to take the case to trial and directions for the hearing and argue the case at court on 21st November. The last thing I want is the government saying my case should be knocked out or wait for an appeal in Conway - I don’t have that sort of time left. Help me to raise the funds needed for the next stage so that we can get to a trial which is my ultimate aim. If you have any questions then email my solicitor who will be more than happy to answers any technical questions, s.chahal@bindmans.com." Join Bindmans LLP for an evening of comedy supporting my right to die legal challenge. Renowned comedian, doctor, and Humanists UK patron Phil Hammond will be joined by ‘provocateur with a purpose’ Simon Fanshawe to entertain the audience with their witty and quirky humour. Dr Phil Hammond has been an NHS doctor for 30 years, a comedian and writer for 27 years, Private Eye’s medical correspondent for 25 years and a BBC presenter for 24 years. Phil was a GP for 20 years and currently works in an NHS team for young people with chronic fatigue syndrome/ME. He is a patron of lots of charities, has written lots of books, has done lots of comedy tours and has a particular interest in living and dying well. Simon Fanshawe OBE is a co founder and partner of Diversity by Design, a groundbreaking consultancy that works with organisations to develop diversity solutions to strategic questions in order to build greater performance. Simon was a co-founder of one of the most successful lobby and campaign groups in recent times, the lesbian and gay equality organisation Stonewall. He is now a co-founder of the Kaleidoscope Trust, supporting LGBTI activists abroad. He is also a broadcaster, writer and pundit. He was awarded the OBE in the New Year’s Honours list 2013 for services to Higher Education. And he was made an Honorary Doctor of the University of Sussex for services to diversity and human rights in 2013. If you have any issues when booking tickets, please contact the Events Team via email events@bindmans.com or on +44 20 7833 4433. Thank you to all who were able to attend last Thursday's event 'Assisted Dying - Legal and ethical issues arising in the case of Omid T'. If you didn't make it, not to worry, you can find some material below. It was an informative, emotive and eye opening event, where both speakers and attendees got to express their views on this subject. We have received a lot of positive feedback and we are really grateful for the support. "Thank you for the opportunity to attend the seminar on Assisted Dying yesterday including the useful networking. I found it interesting and immensely enjoyable - from the philosophical to the legal, the data and the personal. Making the data accessible was a feat which Penney achieved with style. I was pleased to meet you and Paul Bowen having seen your photos and followed the earlier legal challenges whilst working with Friends at the End. The view that "now is the moment" is compelling..
Omid and the wider world will be forever indebted to you and your team for your commitment to this issue"
You can still support the case! Share my Crowdjustice page with your family and friends. The podcast is now live. To listen to the full seminar, click here. You can also watch a short trailer of the event here, where you can learn more about the case, the speakers and get a flavour of what was discussed. I would like to share with you the following. Some of the organisations that are supporting my case have put together a really interesting event that is due to take place at the end of June. Humanists UK, Bindmans LLP and The New College of the Humanities supported by FATE and My Death My Decision invite you to join them in debating this timely and momentous subject. You will hear from those closely involved with the subject from personal, legal and ethical view points. The event will be introduced by Pavan Dhaliwal from the foremost charity supporting this issue, Humanists UK. Hear also from the leading philosopher, AC Grayling and academic expert Penney Lewis. My lawyers, Saimo Chahal QC (Hon) and Paul Bowen QC will discuss the controversial legal issues arising whilst Lauren Nicklinson and Elaine Spector will speak about their personal experiences and their views as to why the autonomy to choose a dignified death is the appropriate and humane response to those suffering from incurable conditions. Robin Ince, comedian and political commentator will address some of the political issues in play. The event is also your opportunity to make a donation towards progressing my case. My lawyers are currently at the evidence gathering stage and are taking evidence from experts from all over the world. Experts from USA, Canada, New Zealand, Belgium, Switzerland and Holland are ready to assist with expert reports. £40,000 is required for the next stage to put together the expert evidence and bring the experts over to give evidence at the final hearing. All donations welcome. You can donate in advance on my Crowdjustice page. You can also donate on the day after hearing the debate. This is stage 2 of 5 stages of fundraising for the case. Thank you in advance for your support. I am sure it will be a very interesting event. Thank you. I am pleased that the court granted me permission to proceed with my judicial review case today. The task ahead is a formidable one - the court needs to understand that people in my situation with an incurable condition and years of misery ahead are not less deserving of the court and public’s sympathy but as Lord Neuberger recognised in the Nicklinson case - we are surely more deserving as we have years ahead of a meaningless and empty life which holds no value any longer. I hope that the court is not going to succumb to the argument that only people who are terminally ill should have the right- because it’s a “narrow” issue and will take up less court time. That would be disappointing indeed. Please help me. My lawyers and I have a formidable job ahead - we need to call experts from all over the world to give evidence to show that the law should be changed and that the weak and vulnerable won’t suffer if there is a law change. There is no evidence to this effect. Help us to get the experts on board! By July we need to get all the expert evidence together and filed. We will have to pay for their travel and accommodation so they can give evidence. Please help me reach my next target of £60,000. I can not do it without you!! Please help to spread the word. Omid - I am only hanging on because of the support people have shown so far! The legal position is that the court has finally listed my case for a Permission hearing at 10:30am on 22nd May. Let my solicitors know if you would be interested in attending. The judge will decide if there is an arguable case in law. I am confident that the court will grant permission. I was always an optimist! Immediately after that the court is likely to give directions about how the case will be dealt with in the future; with a timetable for everything that will happen next. Like in the Tony Nicklinson case, the government may try and argue that Permission should only be given to decide whether this is the right time for the courts to hear the case - given that Parliament has looked at Bills on assisted dying for the terminally ill with 6 months or less to live. However, that does not affect my position because Parliament has not considered the situation of people like me (people with incurable conditions with years of decline and pain ahead). Lord Neuberger did sympathise with people in my situation when Tony's case was heard in the Supreme Court. He said - surely people in my situation should be even more deserving of compassion as we have years of pain and misery ahead of us. I am incredibly grateful to everyone who has helped me so far, but the real battle is only beginning. I need to get Permission and then file evidence so we can have a real debate in the courts on this issue. The next stage requires helping my brilliant lawyers to get experts from around the world; USA, Canada, Switzerland, Belgium, Holland and other places to come and give evidence to show why we need this cruel law to change and that it will not adversely affect the vulnerable and the elderly and that safeguards can be devised to deal with those concerns. I now need your help to raise up to £60,000 for the next stage to get experts to help by providing their testimonies through statements to my lawyers and to get them to agree to come and give evidence in court. We will need to pay for travel, accommodation costs and other related costs as well as dealing with the work by my lawyers. Please help me. This is not just for me, this is for everyone who wants to be able to have a dignified death in the future when they find themselves in my cruel situation. Since we last updated you - we would like to share the Detailed Grounds which were served on the government when we issued my claim. The Grounds can be found here. I do not wish the press to have details of the home in which I am living or details of my family so my surname and address and other confidential details have been removed. The government was due to reply last Friday, but have asked for an extension of time which my lawyer has agreed to until Friday 24th April. We have asked the government to agree that the case should proceed to the second stage - where the Judicial Review proceedings can then proceed with the permission of the court. We will know this Friday if they agree to this. If not there will have to be a hearing and the court will decide whet here thee is an arguable case in law. We need to start preparing the evidence and my lawyers have prepared my statements and legal authorities and are preparing for the permission hearing if the government does not agree to permission. We have a provisional date for the hearing scheduled in May. I am so very touched and grateful for all the support up until now. Please help me now to reach my target so effective preparations can be made for the hearing if permission is not agreed. Thank you from the bottom of my heart. I will let you know what the next stage of work will be after we know the governments' response. It has been another busy week behind the scenes on Omid’s case. Omid’s legal team has worked hard to spread the word of his case amongst various networks. Omid’s supporter base is, of course, essential to his case’s success and we are glad to report that Omid has met his initial target, having now raised £11,075. However, the case will be a long and complex one, so your support remains invaluable as the case moves forward into the next stages. Over the last week, Omid’s legal team has been in contact with several important expert and lay witnesses for the case, and has been busy preparing their statements for court. Then on Monday, Omid gave a further interview to video journalist Thomas Brada, which will soon be publicised by media outlets. There have been several further press enquiries, as the significance of Omid’s case is gradually being realised. Omid’s case speaks so powerfully to the way in which the law, as it stands, denies individuals the dignity and autonomy to choose to end their life and avoid needless pain and suffering. We therefore strongly support his claim to challenge the law, and look forward to working with him to try and ensure he succeeds. Omid’s legal team is working toward the next court date, which will follow the delivery of the Secretary of State’s written arguments by 13 April. There will, of course, be much more work to follow, to which your support is invaluable. Please keep the word of Omid’s case buzzing in your social networks, so that Omid and others in his position have the chance to obtain a #dignifieddeath. You may have seen that Noel Conway’s case has just been refused permission to proceed. We are writing to make sure you know what is happening, separately, with Omid's case. The court has now set a timetable for Omid's case to be heard for permission, and we are waiting for a hearing date. We have considered the judgement refusing permission in Noel Conway’s case and this tells us the arguments we now need to address. "This is disappointing. Surely, we can make people understand sooner or later that the misery people like us are suffering is cruel and inhumane. I have done nothing to deserve this. Where is the justification for the degrading treatment we are subjected to?" It is even more important now that Omid’s case is alive and well, and that it stays that way. Omid cannot do this without your support, so please donate now and spread the word! It has been a week since Omid launched this crowdfunding page in support of his bid to change the UK’s laws on assisted dying. In that week, there has been a flurry of activity – but support is still needed! Omid still needs more than £7,000 to reach his initial target – please consider making a pledge to this vital legal challenge! It is not just for him and would change the law to benefit thousands of other people. Members of Omid’s legal team appeared in the Administrative Court seeking Permission for the case to proceed and directions so that the courts can consider the right to die for people with incurable conditions – not only terminal illnesses. Judgment was reserved by the court, but is expected any day now. ‘My Death, My Decision’ (‘MDMD’) shared news of Omid’s case on its website (https://www.mydeath-mydecision.org.uk/new-legal-challenge-assisted-dying/). MDMD expressed support for the broader principle argued for in Omid’s case, stating that “we do not believe the 6 month criterion can be anything more than a first step in our campaign” and encouraging its followers to support Omid. The Law Society Gazette also featured an article on the case, pointing to its ground-breaking nature (https://www.lawgazette.co.uk/news/right-to-die-claim-will-test-ambiguity-of-past-judgments/5060345.article). Support for Omid’s case continued to flow in via the Crowdjustice page through the week and into the weekend. Omid gave his first ever interview, appearing on Victoria Derbyshire’s current affairs programme (http://www.bbc.co.uk/iplayer/episode/b08kkmv5/victoria-derbyshire-27032017 @ 01:37:58). Saimo Chahal QC (Hon), who acts for Omid in the proceedings, was also interviewed by Victoria Derbyshire and explained the issues that Omid’s case raises. This week, the focus on getting the word out to even more people. 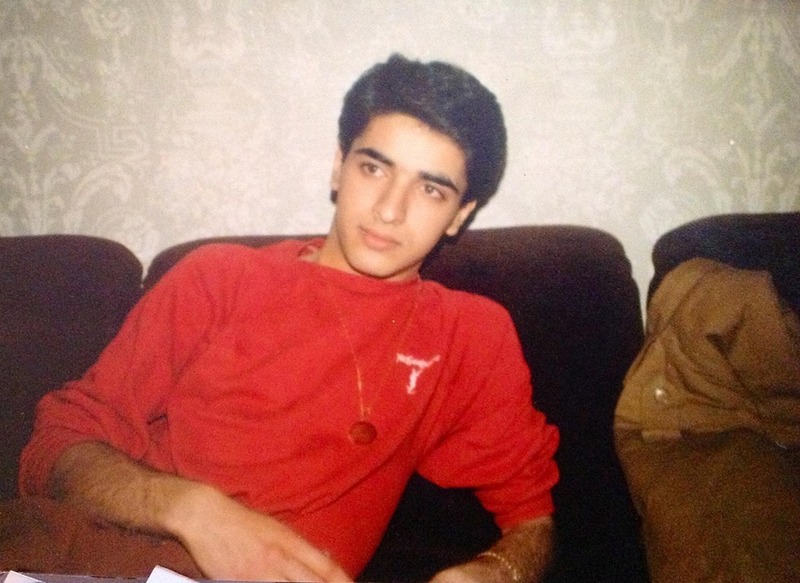 Please help Omid to do this by sharing a short message to your friends and family via Twitter, Facebook and email, with the hashtag #dignifieddeath and a link to this page (https://www.crowdjustice.org/case/dignified-death/ or https://tinyurl.com/l965upf). Thank you for your support of Omid’s case!